There were 648 press releases posted in the last 24 hours and 153,314 in the last 365 days. 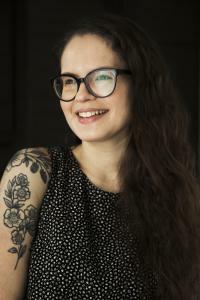 MONTREAL, QUEBEC, CANADA, February 22, 2019 /EINPresswire.com/ -- Odile JP, aka the Pretty Small Vegan, is a vegan recipe creator, food stylist, and photographer. Odile is based in Montreal and in only a few years, was able to obtain a devoted following of food lovers. One thing is for sure, she has an eye for the beautifully-chaotic nature of her work, every photograph nicely complementing the next, and enriching the vast collection of material which will leave you salivating.